After first having a baby, you probably received a lot of information about the changes you will see as they grow. Maybe you heard that most children usually begin to smile around 2-4 months of age, usually sit up on their own when they are around 6 months old, and most start to walk and say their first words when they are around 12 months old. First time parents can often find this information from their doctors, parenting apps, and family members or friends who have already had children. But have you ever wondered where all this information comes from? Like all scientific data, our knowledge on how children develop comes from researchers who study it. This kind of research with children, called developmental research, happens all over the world, even right here in Calgary. The University of Calgary is home to the Child and Infant Learning and Development (Ch.I.L.D.) Research Group. This group is made up of four Psychology labs which explore how infants and children develop their language abilities, learning skills, and social understanding. The professors and students working on these studies are passionate and dedicated to learning more about these areas of child development. We use videos and toys to make the studies fun and game-like for our children participants, allowing us a better understanding of how infants and children develop. However, it takes an average of 17 years for research to become public knowledge! Researchers are working on closing this time gap by making use of new technology, like social media, to bring new knowledge directly to the public. 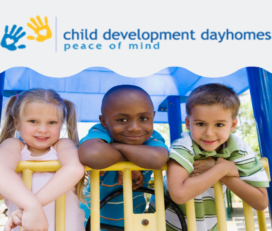 In the coming weeks, we will be sharing some insights and research developments occurring in the field of child development. We are excited to share this information in our blog posts on a space that is easily accessible to families. All our research would not be possible without the help of families who volunteer to take part in our studies. If you are interested in the kind of research that we do, or if you are interested in participating, please feel free to reach out to us.